(Iloilo, Philippines) On 18 September 2012, representatives from African, Asian and Latin American grassroots organizations, national and regional networks and unions representing small-scale fisherfolk formed the core group of a new coalition for small-scale fisherfolk and fishworkers, the International Fisherfolk and Fishworkers Coalition (IFWC). At the IFWC core group meeting, the members agreed on the mandate, key common principles and basic structure of the new coalition. They agreed that the coalition would be composed of small-scale fisherfolk associations, fishworker groups and fisherfolk movements and their advocates. The Coalition will be led by small-scale fisheries groups. The secretariat would be temporarily hosted by the Asia office of the People’s Coalition on Food Sovereignty (PCFS) and a full –time coordinator will be identified to facilitate the work of the coalition as soon as possible. The objectives of the coalition are to propagate, promote and advance the issues and struggles in fisheries sector for social justice and emancipation through active social movements and people’s resistance against the global regime of neo-liberal globalization. 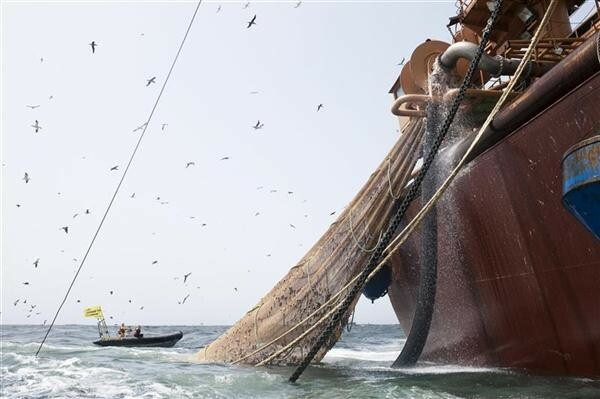 IFWC will advocate for the dismantling of the monopoly, corporate fishing fleets and will promote the rights and welfare of fisherfolk and fishworkers and push for genuinely sustainable fisheries. The following Friday, 21 September, the IFWC held its soft launch in Iloilo, Philippines. At the launch, the representatives of fisherfolk and fisherworker organizations and support groups expressed their adherence to common values founding the coalition. They also declared their desire to return to their constituents to recommend the new initiative. The IFWC agreed on a general framework for the Coalition to guide their work until the first General Assembly marked for 2013. It was agreed that the respective organizations would reach out to new organizations, depending on their capacity, at a national and regional level to expand and develop the membership base. The members agreed that as the IFC established itself, they would develop the structures and appoint regional coordinators to strengthen the Coalition. The members agreed to primarily serve as country focal persons to reach out to fisherfolk and fishworkers organizations, which includes reaching out to other countries as well. The IFWC concluded with a strong reiteration of the need to expand and reach out to other fisherfolk organizations to prepare the groundwork for the first general assembly scheduled next year.